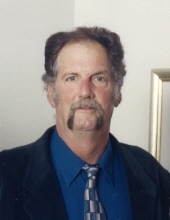 Dennis “Jolly” Edwards, 66, of Ashland, passed away Sunday, March 31, 2019 at Community Hospice Care Center. Jolly was born December 6, 1952 in Annapolis, MD to the late Frances Vablik. He was a dry wall hanger and supervisor for 30 years for KHS&S, enjoyed cars and sports, and was a member of England Hill Freewill Baptist Church. Survivors include his loving wife of 15 years, Elizabeth J. Collier Edwards, children, Shawna Hamilton (Hal) of Walton, KY, Michael Gamble, Jr of Shelbyville, KY, Joshua Gamble (Lee Ann) of Shelbyville, KY, Gerimy Gamble (Raena) of Shelbyville, KY, and Ashley Gamble of Bradenton, FL. Also surviving are nine grandchildren, seven great grandchildren, brother, Brian Edwards of Bradenton, FL, and sister, Karen Lovette (Jeff) of North Carolina. Funeral Service for Jolly will be at 1:00pm, Thursday, April 4, 2019 at England Hill Freewill Baptist Church, 10201 Mayo Trail Road, Catlettsburg. Pastor Willie May will officiate. Final resting place in Ashland Cemetery. Visiting hours will 11:am until Service Time Thursday at the Church. In lieu of flowers donations may be made to England Hill Freewill Baptist Church, Building Fund, 10201 Mayo Trail Road, Catlettsburg. Kilgore & Collier Funeral Home is assisting the family. Condolences may be left at kilgorecollierfunetalhome.com. To send flowers or a remembrance gift to the family of Dennis "Jolly" Edwards, please visit our Tribute Store. "Email Address" would like to share the life celebration of Dennis "Jolly" Edwards. Click on the "link" to go to share a favorite memory or leave a condolence message for the family.